We hope that you have all had a wonderful Thanksgiving. Now that Black Friday is upon us we wanted to share some great deals that we have for you. We’re offering 10% off on gift boxes 1 to 6, all of which are perfect for gifting to your loved ones this year. 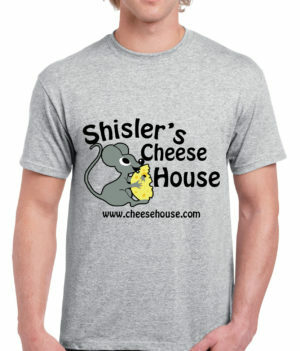 Simply use the coupon code BLOG18 to get your discount! 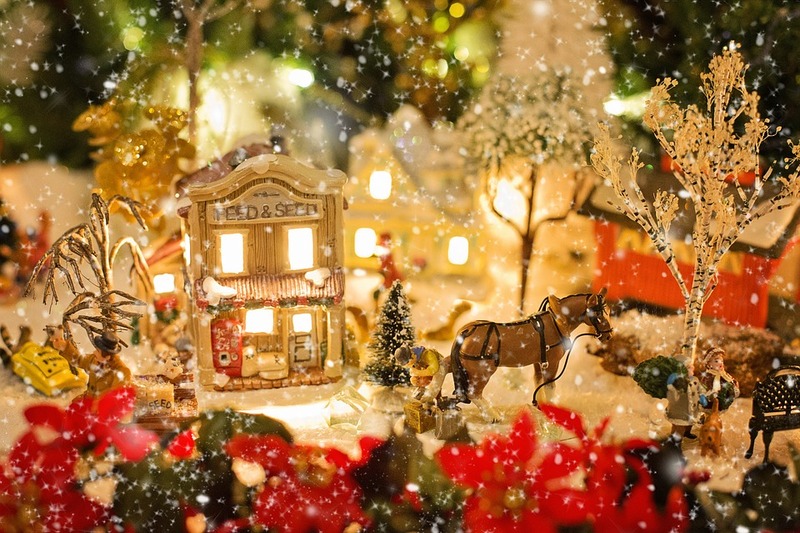 Having the whole family around during the holiday season? Grab this gift box that contains a whole 4Lb. Baby Swiss Cheese Wheel. 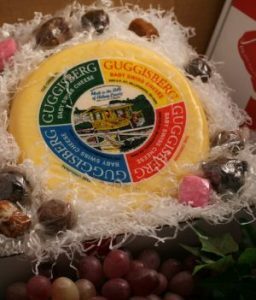 Our Baby Swiss is made in Charm Ohio, by the original producer Guggisberg Cheese. It is a young, semi-soft whole milk cheese with small holes and a mild flavor. It also comes with chocolates for those with a sweet tooth! In this gift box, you’ll receive a 1Lb. Troyer’s Trail Bologna Ring. This is a chunky, all-beef bologna with a smoky taste, created by the fourth generation of the Troyer family. You’ll also find a 3/4Lb. wheel of Farmer’s cheese and a 3/4Lb. wheel of Colby cheese. Farmer’s Cheese is a mild, unripened white cheese made by adding rennet to cow’s milk. It’s a firm and crumbly cheese; the perfect accompaniment to smoked meats. The Colby cheese provides a lovely contrast, as it is a semi-hard cow’s milk cheese with a mild and creamy taste. We always pop in some assorted chocolates for those after-dinner cravings. As the name suggests, this really is a cheesy box! You’ll receive a 3/4Lb. wheel each of Cheddar, Cojack (Marble), Farmer’s Cheese and Pepper Jack. Marble Cheese is made from both Colby and Monterey Jack cheese, which is why it is sometimes called “Cojack”. Pepper Jack is a cow’s milk cheese that has been given a spicy intensity through the use of jalapeno, serrano, and habanero peppers. Along with the classics Cheddar and Farmer’s Cheese, you’re sure to have the best cheese board in the neighborhood. This is the perfect box for a party, or to give to someone who really deserves a treat during this season. Inside you will find a 1Lb. Baby Swiss Cheese Wheel, 1 Summer Sausage Link, a 3/4Lb. 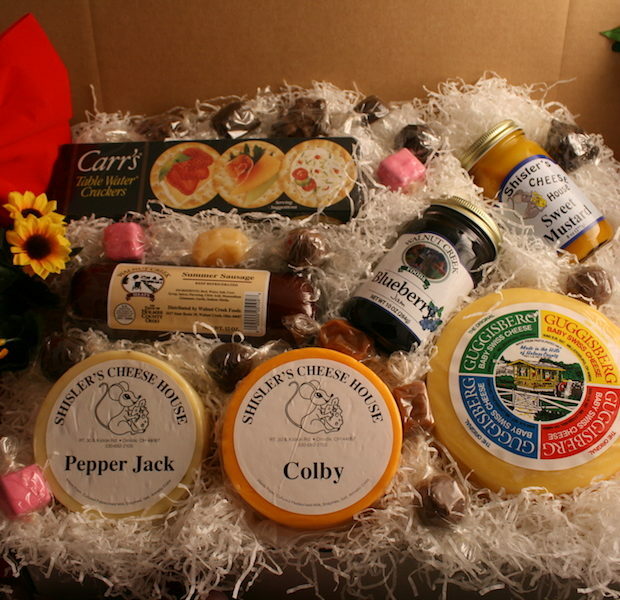 wheel each of Colby and Pepper Jack cheese, Shisler’s Private Label Mustard, Home Style Amish Jam, Carr’s Crackers, Assorted Chocolates, and 6oz. of REACH Coffee. 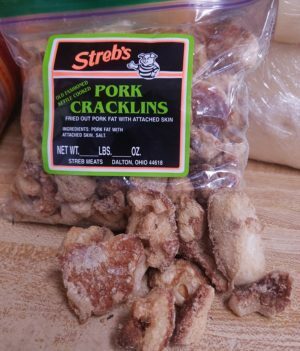 A classic Amish Country combination. This box contains a 4Lb. 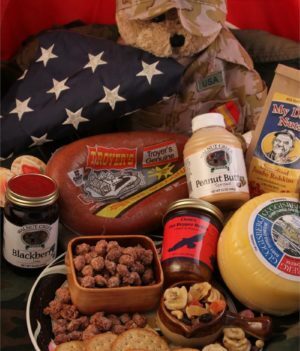 Baby Swiss Cheese Wheel, a large Troyer’s Trail Bologna Ring, Shisler’s Private Label Mustard, Carr’s Crackers, Assorted Chocolates and 6oz. of REACH coffee. REACH coffee is a specialty grade coffee from the region of Chanchamayo, Peru, which is then roasted in Cleveland, Ohio. Perfect for those after dinner pick-me-ups. This box is the King of gift boxes. You’ll need help to carry this one! 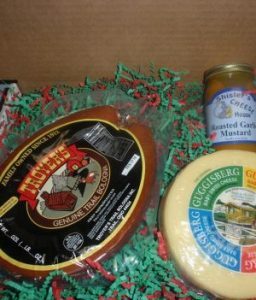 It contains a Large Troyer’s Trail Bologna Ring, a box of Heggy’s Chocolates, Home Style Amish Jam, Shisler’s Private Label Hot Jalapeno Mustard, a 3/4Lb. wheel each of Cheddar, Cojack (Marble), Farmer’s Cheese and Pepper Jack, a Baby Swiss Cheese Wedge, a Summer Sausage Link, Townhouse Crackers and 6oz. of REACH Coffee. 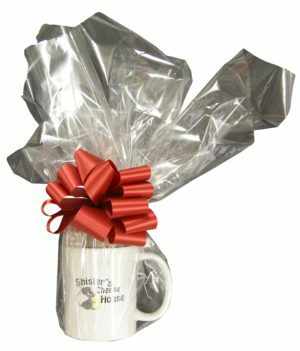 We also have a Cyber Monday Special, which is already available, on a fantastic gift box for just $39.99 with shipping included. It includes 1 1/2 Lb. Ring of Original Troyer’s Trail Bologna, 2 Lb. Wheel of Baby Swiss Cheese and an 8 Oz. 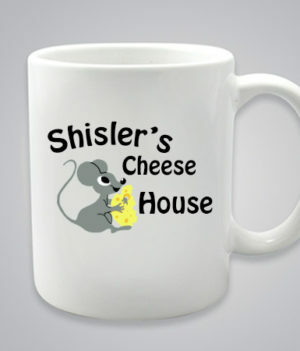 Jar of Shisler’s Private Label Mustard. 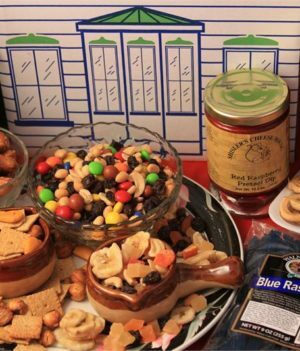 This would make a great gift but it’s also a perfect addition to your store cupboard for those moments of entertaining over the holiday season. 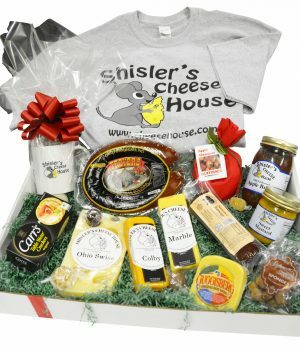 Shisler’s Cheese House offers 10% off brilliant gift boxes.